An armful of new tools. A large push for machine learning and automation. One could easily be overwhelmed by this overhaul. Luckily, these changes are being rolled out gradually, so there is time to adjust and adopt. Check out the calendar at the end of this post to get an idea of what to expect when. In the meantime, here is a recap of the changes coming to Google AdWords and how to best prepare. Beginning July 24, 2018, Google AdWords will be known as Google Ads. This rebranding starts with a new layout and will continue with a refreshed – but very similar looking – logo and name displayed across the platform, along with a new URL: ads.google.com. Other than that, your interface should pretty much look the same. Smart campaigns will benefit small businesses by having the capability to generate and optimize ad campaigns easily. For example, optimized landing pages will be created that can match ad creative using machine learning, all with conversion reporting already built in. Smart campaigns are reportedly three times better at delivering ads to the right audience. This tool will help small businesses to set up campaigns more easily and get feedback on the performance metrics they are interested in. More than one physical store location. Thousands of ad clicks and viewable impressions. Google My Business account linked to your Ad(word)s account. Each store location listed in your Google My Business account. At least 90% of your linked locations verified in Google My Business. Location extensions in Google Ad(word)s enabled. Sufficient store visits data on the back end for attribution purposes. With new hotel campaigns in Google Ads, lodging advertisers will be able to group hotels by attributes, utilize machine learning, and maximize bookings with new goal options. Smart shopping campaigns utilize machine learning and automation (big surprise) to change the way companies display their products in the shopping network. New goals will be available such as maximizing conversion value, store visits and new customers. Machine learning will be available to optimize where shopping ads show, and Google will also be adding support for leading e-commerce platforms to make measurement and reporting easier in an integrated space. These options will be available in the coming weeks. Then, later this year, automated feeds will be launched. With automated feeds, Google will crawl a company’s website to gather relevant information and create shopping feeds automatically. These feeds will get products online more quickly and easily while also allowing you to create effective campaigns. Important Note: If you have the same products listed in both standard shopping campaigns and smart campaigns, the smart campaign ads will have priority and be eligible to serve instead. Google recommends that you pause other shopping campaigns to minimize interference. It is also recommended that you enable the maximize click bidding option. Ads Responsive search ads are meant to be more flexible, make ad creation and testing simpler, and garner better results. Through none other than machine learning (take a shot), Google will mix and match your headlines and descriptions to optimize your ad delivery. When you provide Google with up to fifteen 30-character headlines and four 90-character descriptions, the system will choose three headlines and two descriptions to be used on SERPs. Responsive search ads will have 90 percent more text than expanded text ads. According to Google, you won’t have to reach full character counts to be most effective in every ad; just make sure your headlines are distinct and don’t repeat phrases. And if you have text that must appear in any possible ad combination, you can pin headlines and descriptions in certain positions. Responsive search ads will become available in the next few months. Smart bidding strategy is another name for automated bid strategies that we have seen available in Google AdWords as of late. The strategy uses machine learning (what else) to optimize for conversions or conversion value in every auction. Smart bidding strategies include Target CPA, Target ROAS, Maximize Conversions and Enhance CPC. Smart bidding strategies are available now, and by choosing these options you can have Google adjust your bids to maximize impact. Besides Google AdWords becoming Google Ads, there are two other new platforms that are coming out by the end of the year. More information is available on these platforms here, but below is a brief recap of what to expect. Google Marketing Platform is combining Google Analytics 360 Suite and DoubleClick, which also means that DoubleClick is going to be retiring after 22 years. Don’t be too upset though; Google Marketing Platform will make it easier to look at and compare a variety of data in one place to provide you with a more complete picture of your brand’s performance. There also will be a new integration center to set up connections between each product included in the platform, in addition to 100+ tech and measurement tool providers that will now be supported. With this multichannel synthesis capability, you will have tons of flexibility in your media mix management, planning and team communication. This platform will become available to marketers in the next few weeks. As previously mentioned, DoubleClick is retiring, which includes the dissolving of DoubleClick for Publishers and DoubleClick Ad Exchange as well. In place of those two will be Google Ad Manager, where AdX Buyers will be known as Authorized Buyers and there will be a seamless integration of buying and managing ads. There will also be much greater control of where your ads show in order to preserve your brand’s integrity. To stay on top of and ahead of these changes, here is a checklist you can use to make sure it’s smooth sailing with your marketing efforts. Switch to the new AdWords interface if you haven’t and get familiar. Think about which of these new campaign types might suit your company well; start planning to include or test out those campaign types; and allocate part of your budget towards trying them out. Start preparing ad copy to test for the new responsive search ads. Here is a template you can use. Keep an eye on Google Academy for Ads for any new training modules that go along with the switch to Google Ads. When using machine learning, allow for new campaigns to run for at least 15 days in order to gather a significant amount of data before starting to evaluate results. Then determine if machine learning and automation are right for you. Your Google Updates Calendar Below is a calendar of when you can expect to see some of the changes coming to Google. More dates are sure to be announced, but until then this image can give you some insight as to how fast each update will arrive. Below is a calendar of when you can expect to see some of the changes coming to Google. More dates are sure to be announced, but until then this image can give you some insight as to how fast each update will arrive. Still feeling uncertain about managing these changes and how they could impact your business? Symmetri stays up to date with thte latest trends and training in digital marketing. 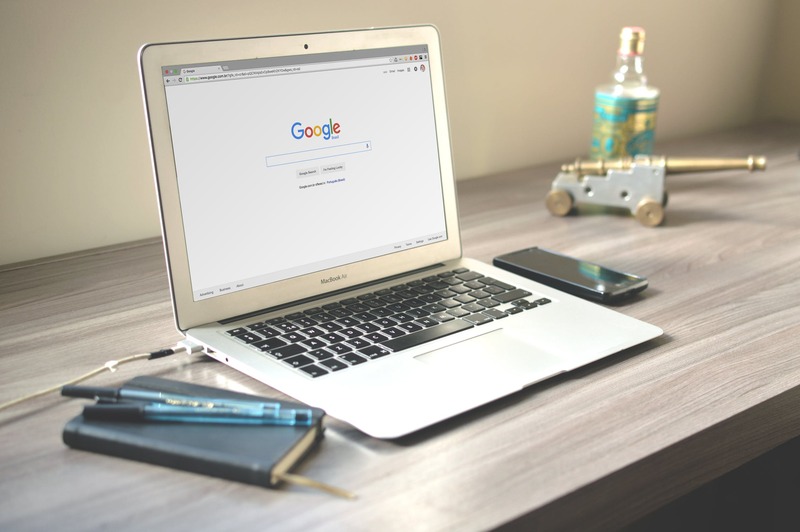 With our Google AdWords (aka Google Ads) certified team, you can confidently navigate paid search campaigns and give your company a prominent voice. We can manage, monitor and optimize your campaigns to help you reach your marketing goals. We would love to hear from you!